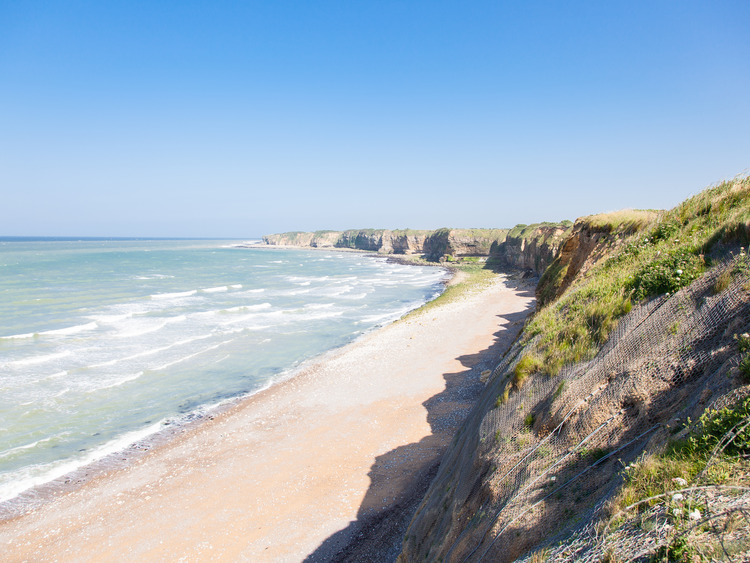 An unmissable excursion to explore the sites where the allies landed in Normandy on D Day and relive an event that changed the history of Europe and the whole world. We begin our tour by travelling though the countryside of the region of Cotentin. At the end of our museum visit the tour will continue to the famous Normandy landing beaches, famous for the events that began at dawn on 6 June 1944: Sword, Gold, Juno and Arromanches, all on the northern coast, are locations whose names are synonymous with an event that changed the history of the 20th century. In Arromanches in particular, the floating jetties of the artificial harbour can still be seen. We will then head west along Omaha beach towards Pointe du Hoc, one of the strongholds of the German army and the scene of a battle between American troops and the German forces at dawn on D Day. In an accurate, meticulously reconstructed scenario we will admire a battery of artillery complete with gun-laying station, anti-aircraft artillery platforms and trenches.